Veterans: May Peace Be With You Today – Happily After Retirement! I received this in my email from a dear friend this past week. The timing is perfect for Veterans Day and for all those who have worried, wondered and prayed. And thank you to all our veterans. Memorial Day should be outlawed! This is a beautiful prayer of St. Theresa. One of my favourites, there is a peace and healing and blessing to be found in these words. 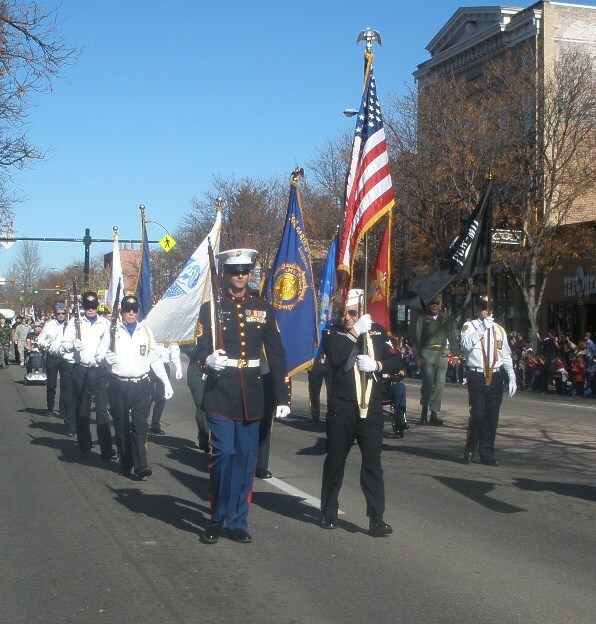 I attended a lovely parade today — seven high school bands played along with caravans of veterans, organizations and clubs. The street was lined with people waving flags. Just before the parade began, circling overhead was the most beautiful bald eagle!